Feng Li, White Night, Chengdu, 2015. Feng Li works as a photographer both as a civil servant in local government and as an independent artist. Thus he must alternate between official imagery and personal photographs that are completely out of phase with the propaganda he crafts. The spectacle of today’s China, a vast, surrealistic construction site or a hypertrophied version of modernity, as it plays out every day in city and countryside, offers an inexhaustible wealth of material for such a wanderer as he. While helping to assemble a festival of illuminations in a deserted suburb of Chengdu, he was struck by the unreal atmosphere of these giant structures poised in the mist. He decided to give his work the overall title White Night. For in China, nights are not really dark: LEDs glow, karaoke bars blink, construction sites are lit up until dawn, creating a permanent twilight. In this intermediary dimension, unexpected characters abound. This is the spectral universe that Feng Li captures in the whiteness of his flashbulb. His photographs are so many fortuitous encounters with the improbable cast supplied by reality—the reality of Chengdu, with its streets of shops, its parks, its restaurants. For Feng Li is most comfortable close to home, rather than exploring the otherness of far away. The decisive instant is not his concern; almost despite himself, a strange population assembles before his lens, like insects drawn to the light. Feng Li has an eye for the everyday. Effortlessly, he reveals the most unexpected scenes of the great spectacle of daily life. Starlets in miniskirts, old ladies in fake fur, homeless people in their wanderings: he captures singular characters who each seem in their way to play a role in the great fiction of ordinary life. Since 2005, Feng Li has trod his beat, the official photographer of a bromidic conference or moving freely through the weekend crowd, tirelessly enhancing his single, unique, abundant series, White Night. Exhibition produced by Three Shadows. Publication: White Night, Jiazazhi Press, 2017. With support from Picto Foundation. Visit White Night in Arles, Feng Li’s “Carte blanche” at Croisière. Jonas Bendiksen, INRI Cristo is wheeled around their compound on a rolling pedestal. INRI are the initials that Pontius Pilate had written on top of Jesus' cross, meaning Jesus Christ, King of the Jews. Brazil, 2014. Courtesy of Jonas Bendiksen/Magnum Photos. The New Testament’s penultimate verse prophesying Jesus Christ’s imminent return remains one of history’s defining sentences. Christians have waited two thousand years for the second coming of Jesus Christ, when he will bring about the End Times, judge mankind, and bring mankind into God’s Kingdom. Luckily, those who are eager to meet the Savior no longer have to wait: Jonas Bendiksen’s The Last Testament chronicles seven men who all claim to be the biblical Messiah returned. Some are powerful and have thousands of followers. Others are true underdogs, with only a handful of disciples. All are united in the faith that they themselves are the Chosen One and have come to save the world. Visiting their communities in England, Brazil, Russia, South Africa, Zambia, Japan, and the Philippines, Bendiksen photographed the Messiahs themselves, as well as their disciples’ daily life and rituals. Through photography, Scripture, and found materials, he explores who these individuals are, who the biblical Messiah was — and what people today yearn for him to be in the flesh. 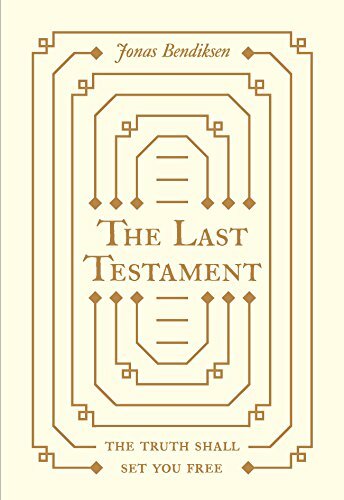 Through Bendiksen’s personal testimonies and intimate portraits, The Last Testament investigates the boundaries of religious faith and a world in need of salvation, yearning for a new prophet. Whether escaping an angry mob in the streets with the Jesus of Kitwe, joining a Messianic birthday pilgrimage in Siberia, or witnessing the End of Days with Moses in South Africa, Bendiksen immerses himself among the disciples of each of them. He takes at face value that each is the one true Messiah returned to earth, creating a work of both apocalyptic journalism and compelling artistic imagination. 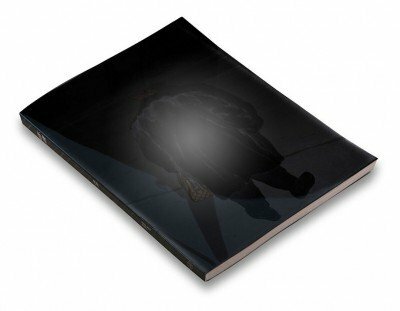 Publication: The Last Testament, GOST/ Aperture, 2017. Wallpapers by Atelier SHL, Arles. René Burri, Canada, Montreal, 1967. René Burri © Magnum Photos. René Burri Foundation. Courtesy Musée de l’Élysée. On his first trip to Egypt in 1958, René Burri discovered the pyramid of Saqqarah, a huge tomb in the middle of the desert. He who had grown up in the Swiss Alps was instinctively drawn to these amazing man-made wonders—mountains in the desert, but without the snow. He traveled several times to Mexico, Guatemala, and Egypt to feast his eyes, photographing pyramids, perfect figures with four equal, magical, and mysterious sides, in black and white and color. This personal reportage was never published. Excitedly embracing their triangular shape, his photographs are full of subconscious references to pyramids, from rooftops to wigwams, modern architecture and Zen gardens. In love with their geometry, René saw them everywhere, filling his sketchbooks with drawings of them and even collecting pyramidal objects. Back home, René made photocopies of his pictures. He would rip up newspapers, postcards, and leaflets from just about everywhere, make collages and highlight them with watercolor. At night, alone and basking in memories, he would let his imagination run wild until dawn. Our first trip was to the Yucatan in Mexico in May 1987. A cheerful, enthusiastic René greeted me at the airport. Two surprises were in store for me: the good one was that the pyramids were in wonderful places. The bad one was finding out I’m scared of heights! I spent the time reading my guide and watching the light change at sunset at the foot of the pyramids. It was impossible to climb them. For me, this exhibition pays tribute to that trip, which I will never forget. René was a wanderer attached to his native Switzerland and the mountains that gave him strength, rigor, and energy. He loved leaving because it made coming home to find a kind of inner peace, to contemplate and meditate, all the sweeter. René enjoyed saying that he always wanted to reach the top first to see what was on the other side. He grew up in the heart of the Alps, which blocked his view. His passion for pyramids was his way of discovering what the mountains had hidden from him for so long: the horizon. Publication: Les Pyramides imaginaires de René Burri, éditions Textuel, 2018. With support from the Swiss Confederation and the Swiss Arts Council Pro Helvetia. William Wegman, Casual, 2002. Courtesy of the artist and Sperone Westwater Gallery . Many great artists have a muse. Sometimes this muse is a silent partner, the object of an artist’s obsessive gaze. At other times the relationship is a deeply collaborative act. The history of photography has its own celebrated cases: Jacques-Henri Lartigue and Ren.e Perle, for example, or Alfred Stieglitz and Georgia O’Keefe. For William Wegman, whose muses have been all of these things and more, inspiration arrived almost a half-century ago, when a Weimaraner who had joined the family showed both an aptitude and a passion for performance before the camera; in honor of one of Wegman’s most admired modern artists, he would be named Man Ray, the first in a line of highly spirited performers. 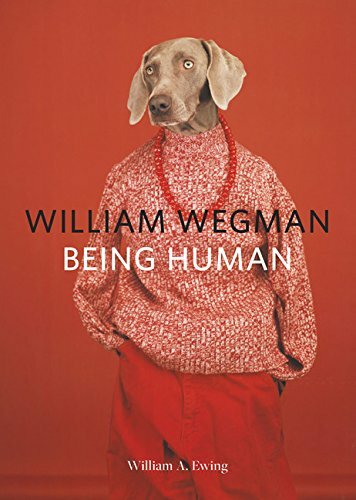 William Wegman is a renowned, versatile American artist who resists an easy classification, as he moves adroitly between painting, drawing, photography, film, video, books and performances. Although his famed Weimaraners are not featured in all these media, they reside at the core of his art. In the late 1970s, Wegman found in the large-format Polaroid print his ideal means of expression—the perfect print size, exquisite color, and an “instantaneity” which allowed for spontaneity and beneficial “accidents.” When the Polaroid chapter finally came to an end, the artist shifted to working digitally, rediscovering in this new medium what was essential to him about the Polaroid process. Wegman’s world may revolve around his dogs, but his choices of sets, costumes and props betray a fascination with art history—cubism, color field painting, abstract expressionism, constructivism, conceptualism, and the like. The diverse fields of photography also intrigue the artist, and we find in his work landscapes, nudes, portraits, reportage, and fashion. And yet, is it all really about dogs? Being Human suggests otherwise: these performers are us ; we are them: housewife, astronaut, lawyer, priest, farm worker, even a … dog walker! Some pose proudly and with confidence, others express doubts or vulnerabilities: it’s all about being human. Exhibition curator: William A. Ewing. Exhibition produced by The Foundation for the Exhibition of Photography, Minneapolis, in collaboration with the Rencontres d’Arles. With support from Sperone Westwater Gallery. (French edition); Being Human, Thames & Hudson, 2017 (English edition). See the extension of the Being Human exhibition by William Wegman at the Avignon TGV station, with support from SNCF Gares & Connexions. Exhibition venue: Palais de l’Archevéché.